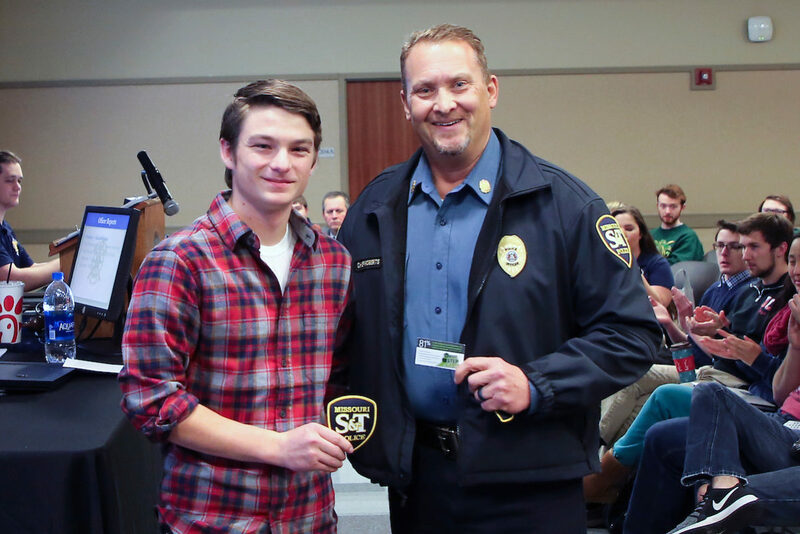 S&T University Police Chief Doug Roberts (right) presented S&T student Dalton Gerdes a Step-Up Award for his help in dealing with a stranded motorist. On Nov. 14, officers responded to a report of a stranded vehicle near University Drive and Highway 63 in Rolla. When they arrived, they noted that Gerdes was already assisting an elderly couple whose trailer had become separated from their vehicle. Gerdes and officers helped the couple temporarily reconnect their trailer to move the car to a nearby university parking lot. He then located the parts and tools needed to repair the hitch. Gerdes helped them make the repairs despite the temperatures hovering at about 25 degrees. Roberts recognized Gerdes, an aerospace engineering major at Missouri S&T, during the Missouri S&T Student Council meeting Tuesday in the Havener Center on campus. Roberts says the police department recorded his act of kindness on the Missouri S&T STEP UP! Pin Program registry. The bystander intervention program encourages S&T community members to help others and to ensure the safety and well-being of self and others. For more information about STEP UP! 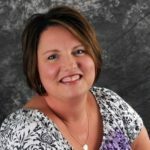 Visit minerwellness.mst.edu/bystanderintervention/stepup/. Wow. Character counts! This young man deserves praise and perhaps a scholarship or award from sponsors or his department. Most impressive and well above the call of duty!